The Old Hill Plaza was one of four venues run by the legendary Irish husband and wife team Mr and Mrs Regan. Mary ‘Ma’ Regan was an ex-schoolteacher and a shy but formidable woman. She came over with my grandfather Joe from Ireland when they were teenagers. During the Second World War she was a teacher and became head of PE for girls for Warwickshire. After that she opened tea shops in the Birmingham area and started tea dances. This then led to the dance halls. They started on a small scale and they had a lot of success. I remember once that Jerry Lee Lewis was due to play at one of her venues. For some reason there was an issue with his piano and they had to use my grandmother’s. She set up The Plaza in High Street, Old Hill, 45 years ago. It was a dance venue, and hosted almost every top act that was in the Top 30, before later becoming a bingo hall. One of Mrs Regan’s great pleasures was to tell people about The Beatles, The Rolling Stones and The Animals, who all played at The Plaza in the early 1960s. ‘a softly spoken Irish ex-school teacher who uses the same psychology with the groups as she did with school pupils, discipline and organisation’ and the Plaza Old Hill as the ‘principal venue in the area for up and coming groups ‘. It is not surprising therefore that local groups felt that the first step towards success was acceptance by Ma Regan and the opportunity to play at one or other of her venues. It was thanks to an appearance at the Plaza in Old Hill and the personal recommendation of Ma Regan that the Strangers got an offer from Decca to appear on the Brumbeat album. Former schoolteacher Mary Regan and husband Joe’s original ballroom venue was the Gary Owen Club in Small Heath, not far from Birmingham City’s football ground, St Andrews. Then came a converted snooker hall in York Road , Kings Heath which they re-named the Ritz Ballroom. Next came the Plaza in Handsworth, and finally the Plaza in Old Hill.The most memorable day in the short but eventful life of Denny Laine and the Diplomats was that of July 5th, 1963, when we were chosen to open the show for The Beatlesat the Old Hill Plaza on the Halesowen Road. ‘Ma’ Regan took care of the business side of things, leaving Joe to run the venues and act as compere, usually dressed in evening suit and black dickie bow. He would confidently announce the various bands, groups and singers in his lilting Irish brogue. The Handsworth Plaza was the biggest of the four and regularly had half a dozen or more groups performing on the same night. Old Joe was not much of a book-keeper, and a few times, on a night off, we would roll up at the Plaza”, convince him that he most definitely had booked us for the night, slot in with all the other groups there and play a 30-minute set. Then we would pick up our £12 fee and drive to Alex’s pie stand in Birmingham to celebrate our little con trick. Mary and Joe Regan played a big part in the development of rock’n’roll music in the West Midlands by allowing dozens of local bands the opportunity to play these venues, in front of usually packed audiences. They also brought to the area some top-line names. We opened for The Bachelors, Susan Maughan, Julie Grant and, also in 1963, an absurdly talented 13 year-old singer, songwriter, pianist and harmonica player who was promoting his big USA hit Fingertips. His name was Little Stevie Wonder. But preceding The Beatles on stage – wow, this was something else indeed! 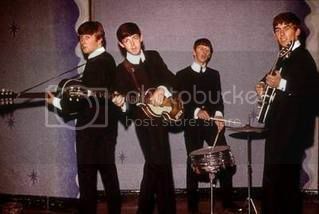 Remember that this was the beginning of Beatlemania. John, Paul, George and Ringo had already had big hit records with Love Me Do and Please Please Me and had just registered their first number one with From Me To You. 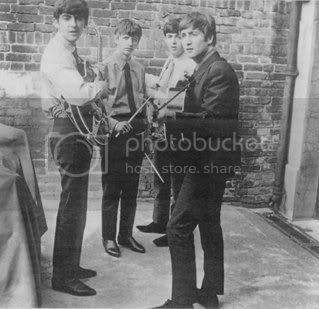 They were currently topping the LP charts with their debut album Please Please Me. Because of our popularity in the Black Country, Joe Regan decided we were best suited for the unenviable task of being the group on stage directly before the biggest pop phenomenon since Elvis Presley. Actually, the huge crowd – literally hanging from the rafters – was very good to us and many of our own fans were in the audience. Nevertheless we still got the occasional chant of “We want The Beatles, we want The Beatles” from the dominantly female crowd. This night was a double-header for the mop tops and their small roadcrew. Firstly they were booked to appear at the Regans’ other Plaza in Handsworth. Unsurprisingly, they ran late and our scheduled half-hour spot became an hour or more. Usually we would perform several Beatle songs in our set, but obviously we had to drop those from our repertoire. Truth was, we were running out of songs to play and reverted to a couple of ambitious instrumentals. We included Hava Nagila (which had Denny playing lead guitar behind his back ) and the Dave Brubeck Quartet classic jazz piece Take Five, which featured me playing a drum solo in 5/4 time. We realised The Beatles had finally arrived and we could hear them talking backstage. Then we saw them all watching us from the side of the stage. We finished our set, the curtains closed, the crowd now in a state of nervous, near hysterical anticipation. Then two, separate, unforgettable things happened. Firstly, our rhythm guitarist (under strict instructions from his fiancé Gill),had the presence of mind to ask John, Paul, George and Ringo for their autographs. They all signed the reverse side of one of our Denny Laine and the Diplomats black & white, glossy, handout picture postcards. So there you have it – the four Beatles autographs on one side, and a photo of a group on the other that just happened to feature one Denny Laine, who, 10 years later, would join Paul McCartney in his band Wings. “Aye mate, dat was really fab gear dat, really great like, y’know playing dat drum solo in 5/4 time like. Our drummer Ringo, he could never do dat! 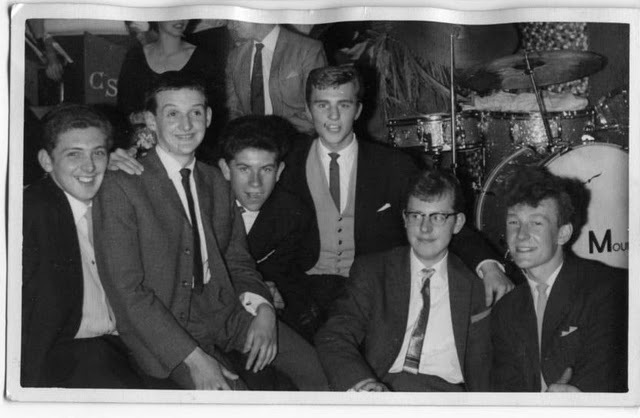 I have attached a picture of myself in a group of other lads at the Plaza Handsworth in I think 1960 when I was 16. It was in front of the band stand and you can see “CS” in the background which was Charlie Simpson Dance Band which still played at that time. We all used to go to the bar when he came on. I knew Mrs Regan and went to London with her and my friend Euan Rose from the Cheetahs a few times which was quite interesting. hi my name is JOHN ROWLANDS and i was the founder member of THE BOLL-WEVILLS the original line up was, PETER WEBB DRUMS, BILLY DIXON GUITAR. GEOFF NICHOLLS LEAD GUITAR AND MYSELF JOHN ROWLANDS ON BASS GUITAR. THE BOLL-WEEVILLS and became professional. TONY THOMPSON left the band to carry on with his proffesion as a printer and was replaced by MALCOME POOLE ON DRUMS things were going very well when out of the blue TREVOR NEATH decided that he was leaving to join the army such a blow . I hope this has been the answer to some of the questions and would like to know who you are ???? Hi Francesca my grandaughter found this on her iPad. I remeber meeting you many years ago but have lost contact with your mom. Mary Regan was my mother in law, her son Gerard was my late husband. I only went once to the The Plaza Old Hill and met Gerry, the rest is history! My email address is above if you want to make contact. So sorry to here the famous ritz ballroom has burned down today in kings heath 27/03/13. I hope they can salvage some of it. Sad to read about the fire. I worked for Mary Regan at the Ritz, Old Hill Plaza, Handsworth Plaza, the Gary Owen and occasionally at the Corn Exchange, Bedford in the 60s. First as a Doorman, then DJ & MC and finally as the Ritz manager. I would very much like to speak to you about the time you worked at The Ritz Ballroom. Please can you contact me via the email address listed so as we can arrange a meeting and a chat. 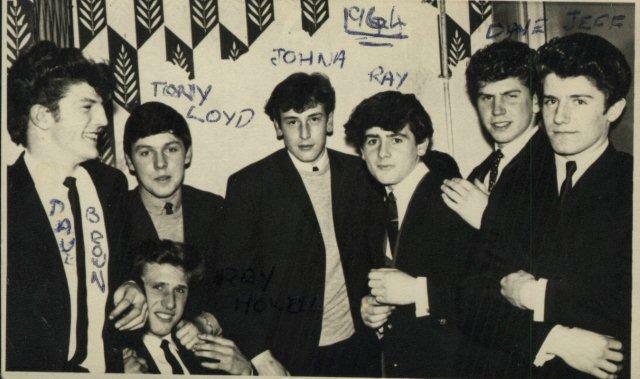 I remember playing at all three venues in the early sixties, anyone out there remember Robin Adaire and The Teenbeats around 1961-64? Great nights at the Old Hill & Handsworth Plaza, but what a sad end to The Ritz King Heath. Still find it amazing that I played on the same stage as some of the best in the music world!! I remember Robin Adaire. One of my friends Shirley Jones went out with him when we were still at school. I have JUST read this while looking for something else! This really took me back.I was in a group called “Danny King ” and the “Dukes”,we where on this same show as support with “Gene Vincent” !! 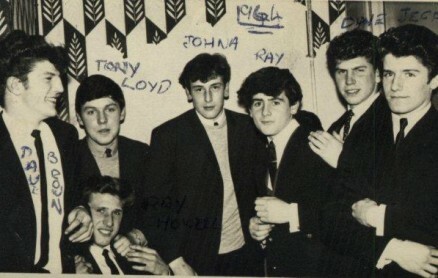 Does anybody remember Jerry Levene’s new line up in the 64 / 65 / 66 era we backed Jerry in all the ma Reagan venues and had a great time with our white Fenders and Vox amps…we learned a lot from him .. grew up in the business thanks to his guidance, great guy, such a positive and honest attitude. Marrion and Mike used to visit me often here in Aldridge and I recall the farm where we used to practice. Great times…met a lot of people who made good later on. Kind regards to Marion, so sad Jerry is no longer with us, nobody can erase the good time memories we all share. Roger Mosedale, Lead, Barry peacock, Bass, Joe Dignum,Drums. Remember seeing you in the Sundowners,you were only young but a great lead guitarist.Do you remember the socials at Tynings Lane CS?Were you also in The Fortunes with Tim Fame.The other drummer I new and remember was Roger Lowe lived at Barr Common.please feel free to contact on email.Woul love to have a chat about those great day so. Kind regards Terry. I worked at the Ritz Kings Health has a class collector and bar person with my friend’s Trever Troman and Jimmy Powell. Great Times got to see all the great groups. So sad to see it now burnt down has I still live local to Kings Heath. But again Great Memories. Hello to all on this Forum, I am pleased to read of all of everyone’s experiences and memories of The Ritz Ballroom. I would be very interested to speak to anyone who had worked at, and who played there, when it was the great venue that it was. I lived at Milford place in Kings Heath when the Beatles played the Ritz in Feb 63.
used to go to Plaza Handsworth at least once every week during 1963-64. Saw The Kinks, The Beatles and Jerry Lee Lewis among others. I lived in Teddington Grove, Perry Barr and Jerry Levene (Michael Gibbs) lived around the corner in Glendower Road. Saw Gene Vincent, jerry lee Lewis early sixties. Name please if you can!!! Hi I have been looking at the history of the plaza that you have on line, very interesting thanks. My wife and myself went to the plaza in the late 1950’s and the acts that were on then have not been mentioned, such as, the great Billy Fury and I Remember seeing Red Price and Cherry Wainer from either the tv show six five special or oh boy I can’t be sure which, sorry I can’t remember any others but all of the rock stars of that era were on. 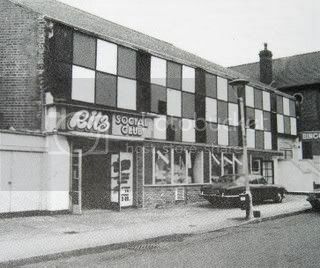 I was only 14 when the beatles came to the plaza handsworth to young for entry.where else could you see the kinks ,the bee gees,spencer davis,jerry lee lewis ,chuck berry,stars every week for a pound,fav locals the beachcombers(bruisers)redcaps. jackpots ,diplomats fantastic memories,downstairs to the bar for Coca-Cola. I used to go to the plaza hands worth about 3nights a week with my friend Barbara we used to dance down the front to all the great groups . We saw the Beatles the first time and dusty Springfield joe brown Jerry lee Lewis who became a resident player there.dave Lacey and the corvettes .the cavern four p.s I married the drummer chris Hayes in the corvettes. One of the best male dancer was named Brian I can’t remember his surname. Speak again soon regards Carole Hayes. I’m currently working on a project about The Beatles in 1963. Would love to hear from anybody who remembers seeing them at the Plaza in Old Hill or Handsworth and the Ritz in King’s Heath that year. Am particularly keen to find out who their support bands were. It seems that Dane Tempest & the Atoms, The Silhouettes, The Brumbeats and Dave Lacey & the Corvettes all did and would really appreciate from anyone who was in any of these bands. The plaza was opened a lot longer then 45 years ago, I went there as a teenager and was Mrs Regans friend ,my friends and I used to associate with local bands including Robert Plant , John Bonham whom my friend Pat married , also Bev Bevan , Carl Wayne , Roy Wood ,we saw all the acts who went on to become famous , including Beatles , Moody Blues , ELO , and many many more ,The Plaza opened roughly 1962/1963 . Forgot to mention Mrs Regan asked me to get a group of girls together to form a girl group , she was to fund instruments , pay for lessons , and she would back us all the way , I declined this , how my life could have been so different . Interested in researching the Kings Heath area in the sixties particularly some of the teenage characters who were around then.The Ritz,Kingsway Cinema ,andScorpion coffee bar and the surrounding district ..you sound like you might know quite lot of interest. Please e mail me with contact details. Many thanks in anticipation. I worked at the Plaza in Handsworth from 1063/4 until it closed. Had a great time seeing and chatting back stage to the many groups that appeared. My best memories were standing inside a cordon of bouncers making sure that Stevie Wonder’s drum kit didn’t fall off stage when he hit the drum pedal, and helping to carry P J Proeby above our heads onto the stage. I have read other peoples comments and memories but no one mentioned the King Bees. As groups went they were OK but I remember them best for their drummer. A local kid I went to school with, Carl Palmer later part of ELP. Oh almost forgot having several drinking sessions with Ray (or Ray) Davis before the Kinks went on stage. My only regret was I never went in to see the Beatles, I was a firm ‘Stones fan. I remember the evening Carl Palmer played at the Ritz.. His Dad had driven him for the audition with the King Bees. Geoff Brown played lead and my school friend Andy Abbott played base. It was clear, even though he was very young, that he was going to be extraordinary. Some of the stars we were the supporting band for were The move, Cliff Bennett and the Rebel Rousers, Peter and Gordon, Wayne Fonana and the Mindbeners, Billy J Kramer, The Fortunes, The Tornado’s and a few others. We also changed our name to the Mller Beats when we changed Managers and played with Lew Miller and his band. Very interesting and nostalgic stuff thanks.